"Places have secrets too, I think. Like people. You just need to dig. In land, in life, in a man's soul." Last year, I read and enjoyed C.J. Tudor's debut novel The Chalk Man. That book weaved alternating time periods and strong characters into a suspenseful and enthralling mystery. The Chalk Man immediately became one of my favorite reads of 2018 and left me anxiously waiting to read whatever Tudor came up with next. When her publisher offered me a copy of her next novel, The Hiding Place, I eagerly jumped on the chance to read it. Joe Thorne is happy to be getting a fresh start. He struggles with alcohol, is a gambling addict, and was recently dismissed from his teaching job in a shroud of personal and professional disgrace. As he looks to create a new beginning for himself, Joe turns to the place where everything started last time. He never thought he'd come back to his hometown of Arnhill, but here he is. He's secured a teaching position at the same school he attended. The Arnhill Academy was so eager to find a teacher that they skimmed over most of Joe's checkered past. For better or worse, Joe is starting over. Joe's predecessor at the academy was an unassuming single mother who shocked the town when she brutally murdered her young son and shot herself. Now Joe has taken her job and moved into the same cottage where the gruesome crime occurred. He's optimistic about this fresh shot at life. He's already stopped a bully from picking on a student, is getting along with his co-workers, and seems to be on the path to happiness. Life has other plans. The longer he stays in the town, the more he's realizing that things aren't as different as he hoped. In fact, the dark history of Arnhill that destroyed his life years ago seems to be repeating itself. 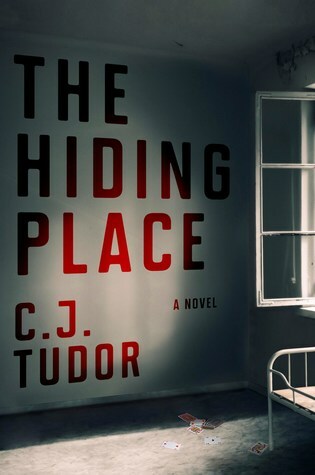 The Hiding Place, C.J. 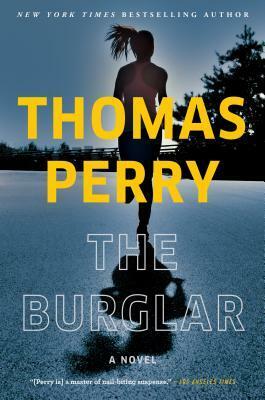 Tudor's sophomore novel sees the author's brilliant writing veer into much darker territory. While this novel shares many of the same themes as Tudor's debut (childhood trauma, community culture in a small town, etc.) it really pushes the author into new territory. One climactic flashback scene, in particular, left me emotionally shaken. Tudor deftly balances these bleak scenes with brisk pacing, detailed character development, and wit that surfaces at all the right moments. As she did in The Chalk Man, Tudo again employs flashbacks to both provide depth and backstory and to ramp up the suspense. Even a twist that seemed almost too familiar for this longtime fan of Stephen King couldn't detract from my overall satisfaction with this book. With The Hiding Place, C.J. Tudor proves that The Chalk Man was no fluke. She recently tweeted that her next novel is complete, and I'll be the first in line to give it a read! "Are you ready to play a game for us?" James Patterson is no stranger to causing controversy amongst his fans. His prolific output and copious use of co-authors has divided readers for years. The latest snafu came in the form of Patterson's foray into short stories/novellas. On the surface, his BookShots seem like an okay idea. They are short, inexpensive stories that have the potential to satiate his fans between books and potentially serve as easy-to-digest reading material for those less-consistent readers. In his attempt to draw readers to this new venture, Patterson made a critical miscalculation. In his BookShot Cross Kill, Patterson featured his iconic hero Alex Cross. Much to the chagrin of his longtime readers, the novella had major plot points that altered the course of the character's life and left readers of the next full novel in the series completely confused. 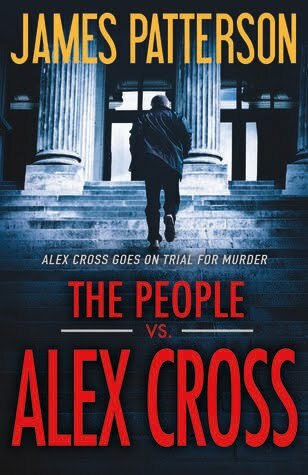 The People vs. Alex Cross sees the famed detective on trial for the murder of several Gary Sonjei look-alikes who he shot in the aforementioned BookShot. If you didn't read the BookShot, you'd have no real context for why Alex Cross was in such a strange situation. Fortunately for me, I heard the outrage of the fans. While I didn't agree with the way Patterson used Cross in his other ventures, I begrudgingly read it and was fully prepared to embark on his 25th Alex Cross novel. Controversy aside, I really enjoyed The People vs. Alex Cross. The novel sees Alex Cross put on trial for the killing of several alleged criminals. Yes, you need to read Cross Kill for context, but it is short and pretty entertaining. I even managed to snag the ebook version from my local library for free! As if having his entire career and judgment called into question isn't enough, Cross also finds himself involved in investigating a string of kidnappings that end in gruesome snuff films. With Cross suspended from police work during his trial, he is forced to take a back seat to his wife Bree as she tries to put a stop to the brutal abductions. By making Alex Cross answer for all of the bodies he's wracked up over the years, Patterson comments upon the state of the criminal justice system and what actions are appropriate for officers of the law to take. With the Black Lives Matter movement causing debate in our society, this story is more relevant than ever. Patterson smartly avoids taking a stand on things, instead opting to show how both sides of the story are affected in their own ways. I've always been a fan of the Alex Cross series, and I'm happy to report that The People vs. Alex Cross is a solid installment. The book provides everything fans of the series have come to expect and takes the characters into an exciting new direction. With the dust of the contentious 2016 presidential election finally settling, Americans are beginning to look toward the 2020 contest. As the early stages of this election begin to come into view, potential Democratic candidates have started to offer a counter choice to Donald Trump's controversial presidency. It seems to be a prerequisite for each prospective candidate to publish a memoir that gives voters an intro to their family upbringing, political history, and hopes for America's future. 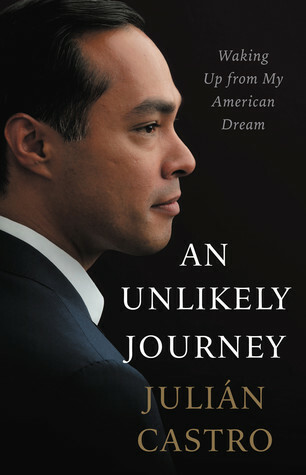 In his memoir, An Unlikely Journey, Julian Castro attempts to plant the seeds for his own political future. Castro recently announced his candidacy for President, so this book seems a bit inevitable. His story is pretty compelling. In sharp contrast to the rhetoric of the current President, Castro writes about the value of immigrants to the US. His family descends from Mexican immigrants, and he was raised with a deep connection to his culture. He witnessed the ways his family members worked hard and persevered to build their own version of the American dream. Moreso, he saw his mother's never-flinching commitment to provide him and his identical twin brother with the opportunities only a solid education could provide. Julian has had an interest in politics for most of his adult life. He's grown and learned from each of those experiences. From student council member, city council member, city mayor, and finally head of the US Department of Housing and Urban Development, Castro has dedicated his life to public service. He writes about the challenges of those demanding positions and the need for balancing them with the needs of his young family. Ultimately, his most passionate explanations are the ways in which he eschewed personal gain for the needs of his constituents. Specifically, Castro writes about initially turning down a job with the Obama administration so that he could see a large education policy for San Antonio children come to fruition. San Antonio is my hometown, and I remember Castro as being the first mayor I was actually aware of. His Pre-K for SA initiative still stands as a lasting testament to his commitment to providing a strong education to future generations. Despite my personal connection to his story, I'd be lying if I said An Unlikely Journey is a good read. He fell into the trap that many political memoirs do. His personal story is compelling, but his writing on political aspirations and specific policy halt any narrative momentum. Instead of coming off as an inspiring story of rising from nothing, An Unlikely Journey ends up being a mere clog in Castro's political machine.